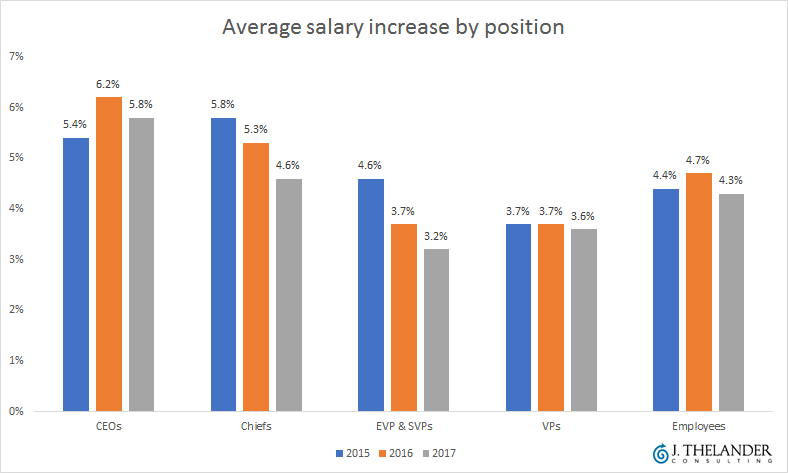 Which executives are most likely to have received a raise this year? 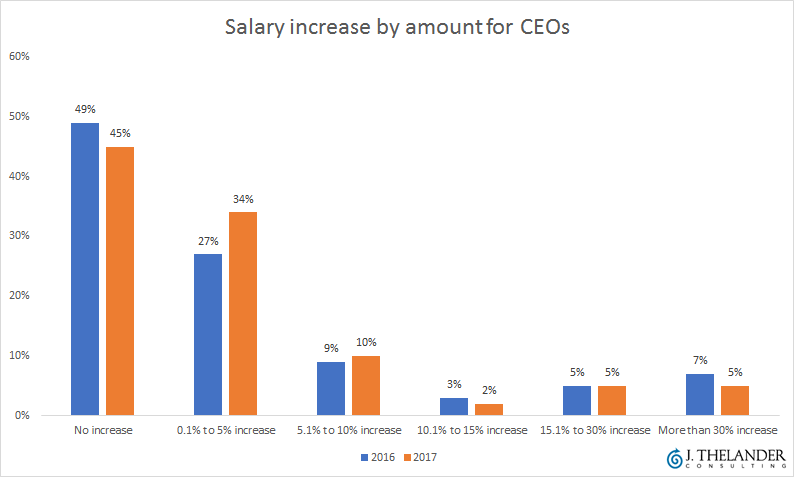 What percentage of CEOs brought home a 30%-plus pay increase in 2017? 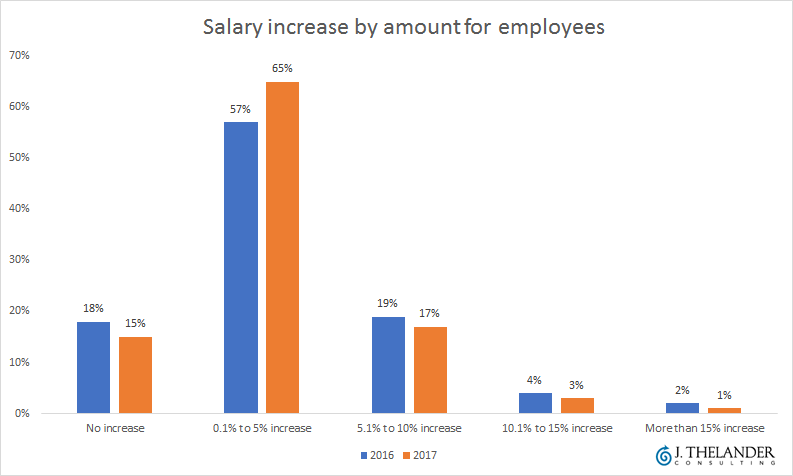 How many employees received salary increases? J. Thelander Consulting has the answers to those questions, along with much more information on merit increases for employees and executives at private companies. Click here for an overview of results from the consulting firm's latest compensation survey, which is focused on 2017 private company merit increases, option pools and secondary markets. For more on private company and investment firm compensation, check out other articles PitchBook has published with J. Thelander Consulting. And click here to contact J. Thelander Consulting directly.